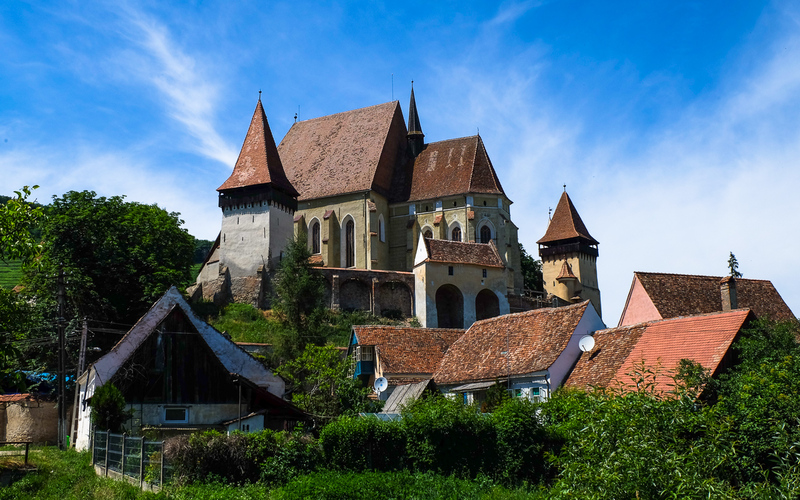 Romania is undoubtedly one of the countries with some of the most beautiful churches and monasteries, which are visited every year by numerous pilgrims and tourists interested in seeing interesting architectural details. From wooden painted churches, the fortified churches included in the UNESCO World Heritage list, to monuments of Gothic architecture and those of the Byzantine or Brancoveanu style, many monasteries in Romania are a perfect mirror of the Romanian spirituality and culture. 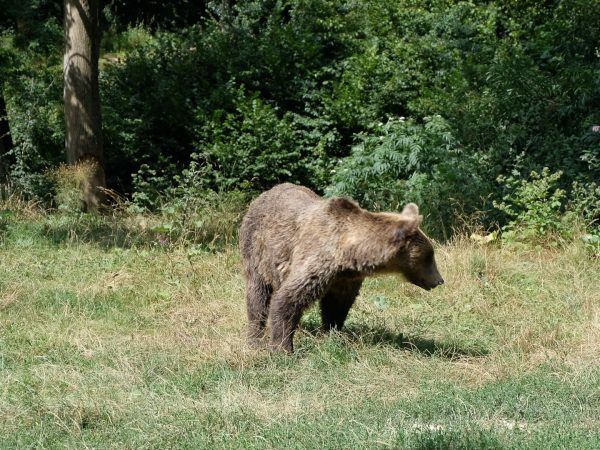 Romania has some of the most beautiful monasteries, included by tourists in their itineraries, regardless if they are interested in the spiritual aspect, or just on the architecture and art works that can be admired during on a trip to Romania. 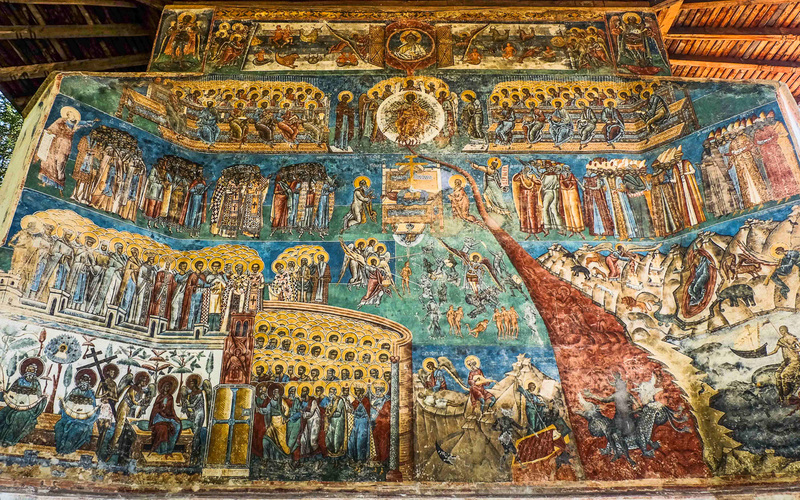 Located in Suceava county, eight Churches of the Moldavia – Bucovina region entered the UNESCO World Heritage list. 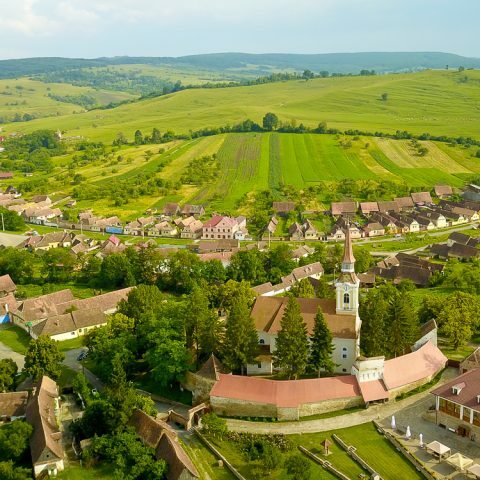 Seven of them – Arbore, Humor, Moldovita, Patrauti, Probota, Suceava and Voronet – are part of World Heritage since 1993, while Sucevita was included in 2010. 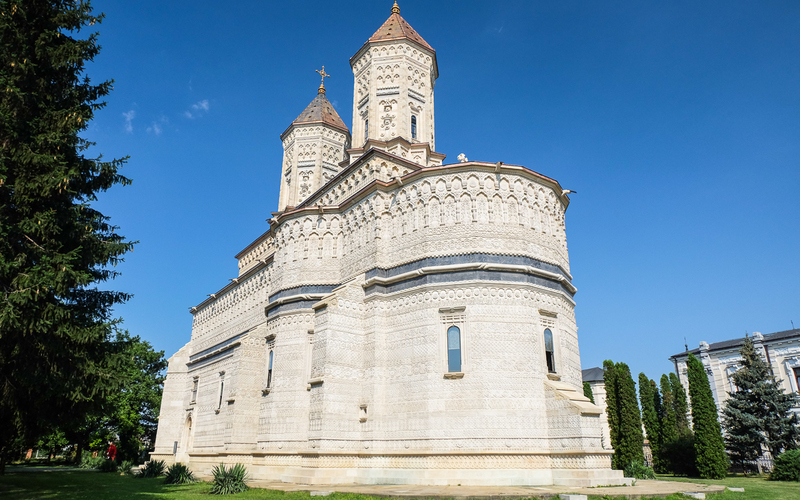 The churches were built in the late fifteenth century and in the sixteenth century by Stefan the Great (Stefan cel Mare) – Voronet and Patrauti and by other Moldavian rulers. 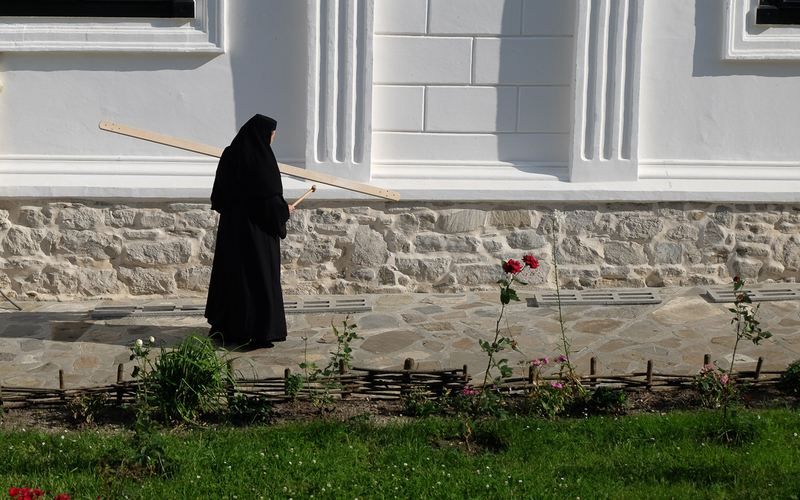 The monasteries are about 450-500 km away from Bucharest, and in the Bucovina region there are numerous other important monasteries, such as Bogdana Monastery or Rasca Monastery in Radauti. Voronet, famous worldwide for its blue wall color – “Voronet blue” (a shiny azure color), was founded by Stefan the Great in 1488. At the same time, among the colors used are the red characteristic to Humor and the green from Arbore. On the outer walls of the monasteries, various biblical scenes are painted, such as “Doomsday”, “The Tree of Jesse” or “Adam’s sin”. 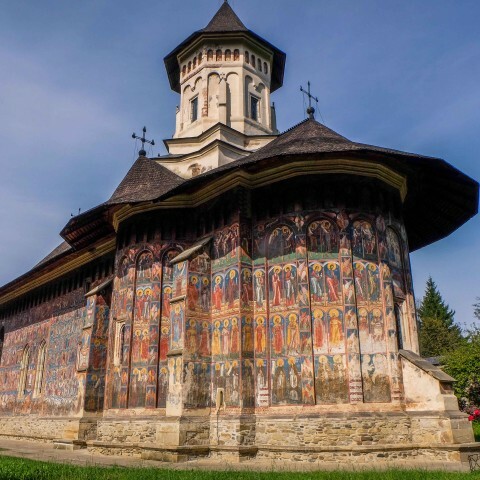 Just like the painted churches in Bucovina, eight wooden churches of Maramures county were included on the UNESCO list. 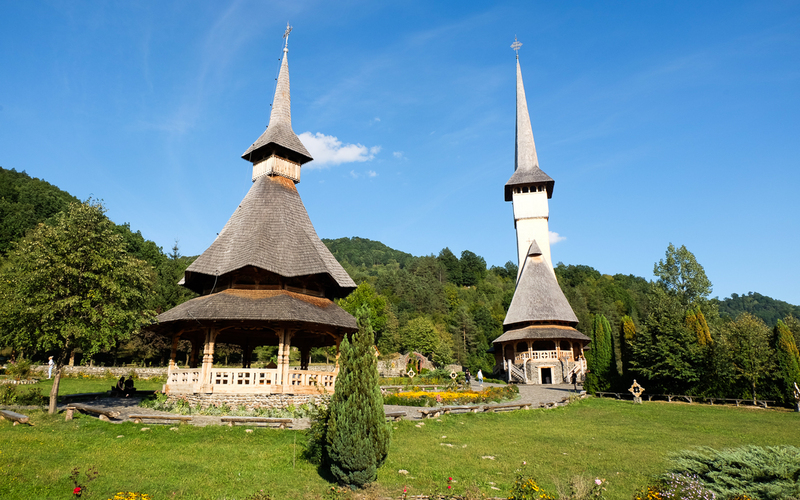 Barsana, Budesti, Desesti, Ieud, Plopis, Iza Meadows, Rogoz and Surdesti are wooden churches and since 1999, part of the World Heritage list. The buildings are narrow, tall, and slender, with long steeples at the western side of the constructions. 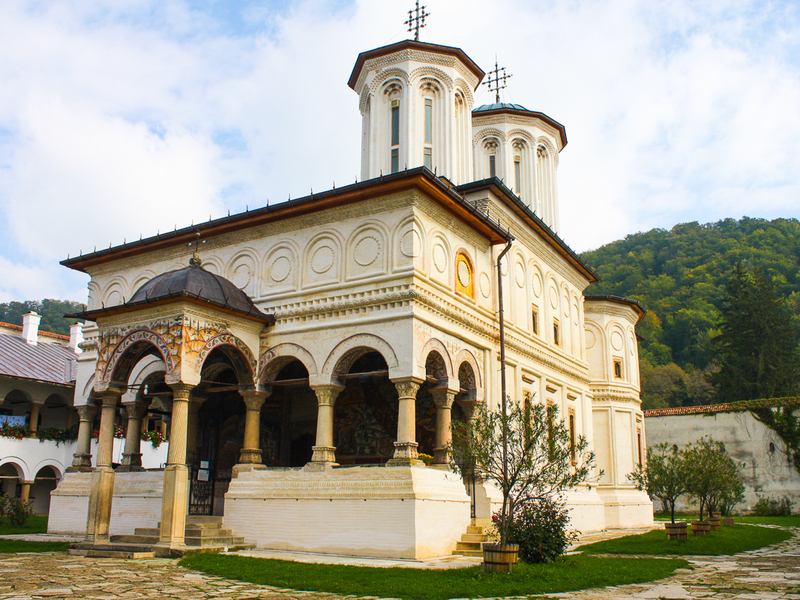 The oldest church is the old church on the hill of Ieud, built by the Balea noble family during the first decade of the eighteenth century, while others are built both in the eighteenth century and toward the end of the eighteenth century. Five of the churches are in Maramures, another two in the old Chioarului Country, while the Rogoz church is situated in Lapus Country. These “countries” are basically regions belonging to Transylvania, but this form of administrative organization was used before the creation of counties. Fortified churches were also included in the UNESCO list of World Heritage sites, Biertan in 1993 and Calnic, Darjiu, Prejmer, Saschiz, Valea Viilor and Viscri in 1999. 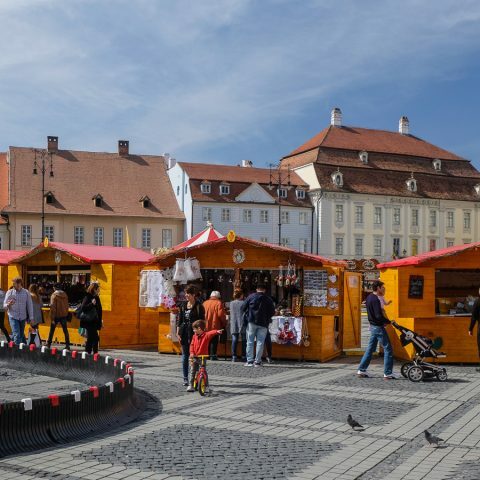 The seven fortified villages and their churches are scattered in five counties – two in Sibiu and Brasov and one in Alba, Harghita and Mures each. The villages and fortified churches date back to the Middle Ages, built between the thirteenth and sixteenth centuries. The first buildings were influenced by Cistercian style, after the Benedictine monastery of Citeaux. Fortified churches are Romanesque basilicas or churches with a unique shape, in late Gothic style, playing a defensive role for their respective communities, until the end of the eighteenth century. Horezu Monastery (or Hurezi, how it’s also known) was built between 1690 and 1693 by Constantin Brancoveanu (1688-1714), in the village of Romanii de Jos, near Horezu town, about 40 km from Ramnicu Valcea, on the road leading to Targu Jiu. The building is considered a masterpiece of the Brancoveanu style. The monastery is dedicated to “Saints Constantine and Helena” and was included in the UNESCO World Heritage list in 1993. Neamt Monastery was called “the Jerusalem Roman orthodoxy” and it’s one of the oldest establishments in Orthodox Romania. 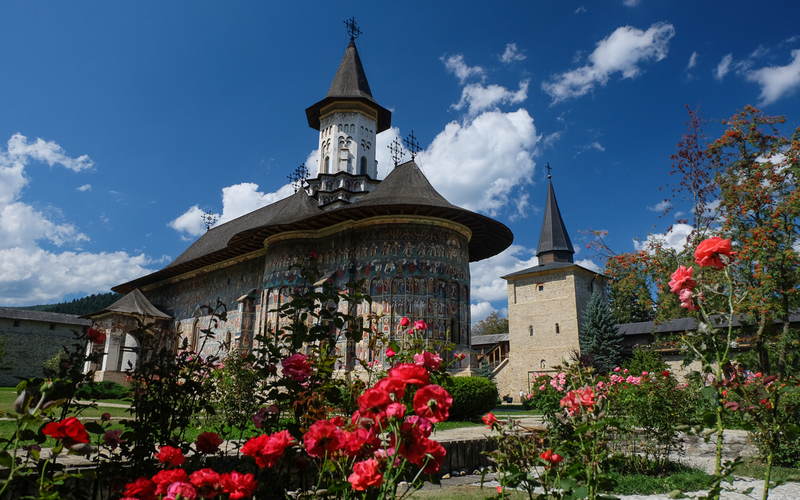 Located about 12 kilometers from Targu Neamt, in an area with many places of worship, Neamt Monastery was dated first time in 1407, in the reign of Alexandru the Good (Alexandru cel Bun), but it was built entirely during the reign of Stefan the Great, in 1497. It’s dedicated to “the Ascension” and is on the list of UNESCO list for World Heritage since 1991. In Neamt County there are also othe remarkable monasteries, such as Agapia, which dates from the middle of the eighteenth century, with frescoes painted by famous painter Nicolae Grigorescu in the period 1858-1861, shortly after he turned 20 years old. Bistrita Monastery, founded in 1402 by Alexandru the Good, Durau, with paintings by Nicolae Tonitza, or the monasteries Pangarati, Secu, Sihastria, Sihla and Varatec, built between the sixteenth and eighteenth centuries, are all located in Neamt county. Curtea de Arges monastery was founded by Neagoe Basarab, at the beginning of the sixteenth century, situated in Curtea de Arges, about 40 kilometers from Pitesti. It’s dedicated to “the Assumption” and is known for its legends, especially the one of master Manole and of the Holy Filoteia, celebrated on December 7, whose relics are found in the monastery. In the royal necropolis located here are buried King Carol I and Queen Elizabeth, King Ferdinand and Queen Mary, and King Charles II. The monastery is also on the list for UNESCO World Heritage since 1991. Prince Vasile Lupu built the monastery’s church between 1637 and 1639 and it was originally designed to be royal necropolis. 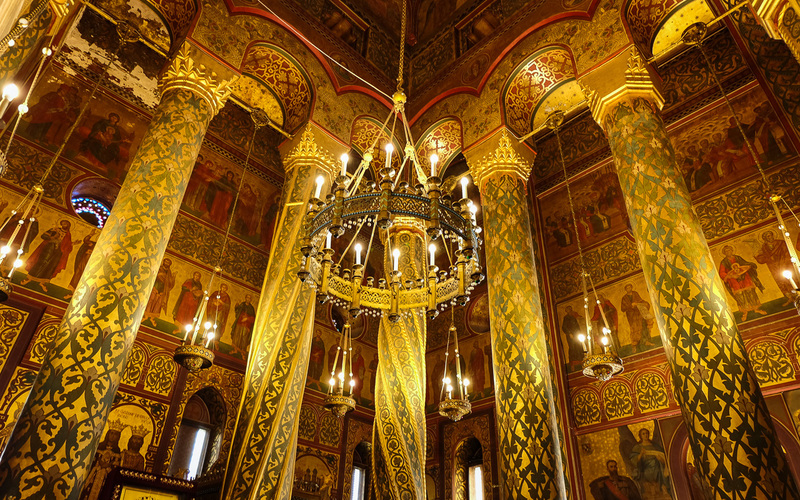 Taking elements from Gothic Transylvanian, the construction represents Lupu’s aspiration to bizantism and is dedicated to the “Three Hierarchs” – Basil the Great, Gregory the Theologian and John the Chrysostom – all celebrated on January 30. 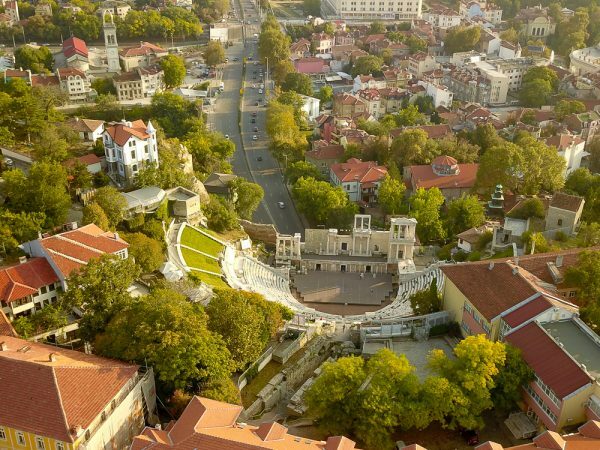 Situated in the center of Iasi, the monastery is on the UNESCO World Heritage list since 1991. Other old monasteries in Iasi, such as “Saint Nicholas”, Galata or Golia, were built between the fifteenth and sixteenth centuries. The construction of the Black Church began in 1383 and it was completed in 1477. 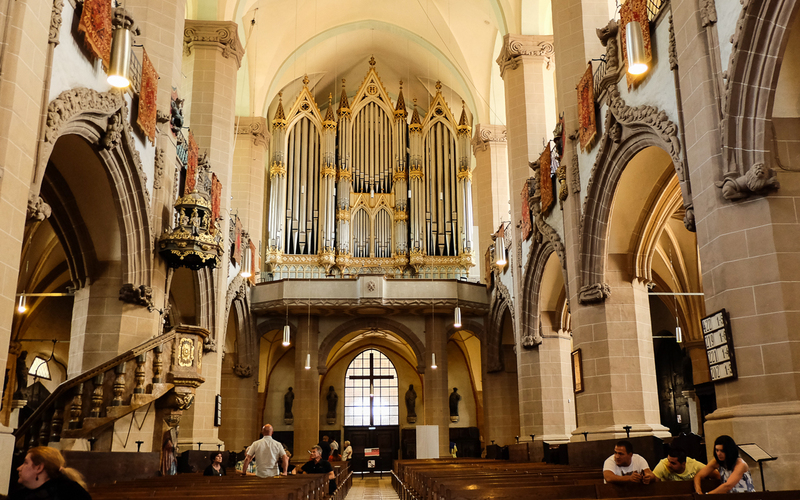 Originally, a catholic church, the gothic edifice was dedicated to Saint Mary, having this name until 1689, when it was partially destroyed by a fire and received the name it has today. The church is the largest sacral building in the country, it has the largest bell that exists in any Romanian church and is one of the largest places of worship in Central and Eastern Europe. It is 89 meters long, 38 meters wide and 42 meters tall and has room for around 5,000 people. 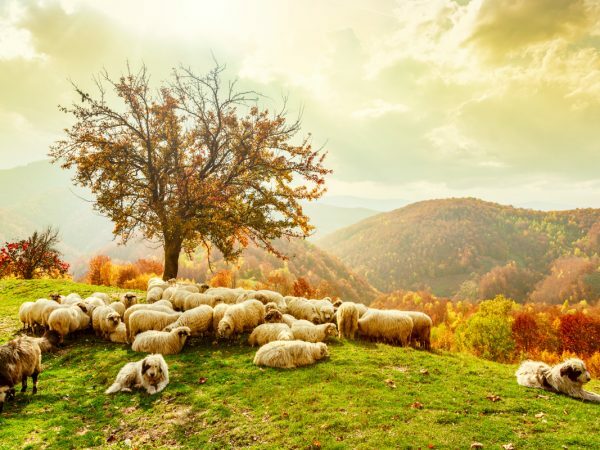 If you’re interested in finding out more about the Romanian churches and monasteries, you can either book a dedicated tour, such as the Christian tour of painted churches, or the Fortified churches biking tour, or you can visit some churches and monasteries during various other tours in Romania or in the Transylvania region. Why are there Black people painted on these churches. Is Romania not a European country? Dear Arthur, To answer to your first question I will have to give you some historical referrals. The painted churches can be found only in Bukovina Region, North-East of Romania. Some of this churches are dating from 15th and 16th century, the ruling time of Stephan The Great. Because of the Ottoman thread Stephan the Great and his followers tried to motivate the local people to stand a fight against the Ottomans. The example was the martyrdom of the Christian saints that endured torture for their Christian believes. But painting the walls with biblical scenes was also a way to educate the people and to keep them close to church. Over the centuries the frescoes where damaged by weather conditions and the natural paint got darken. Yes, Romania is from 2007 member for European Community but not member of Schengen area. Romania still use its local currency called Ron or Lei. Arthur, they are not black. The dye on the icons merely darken over time naturally.